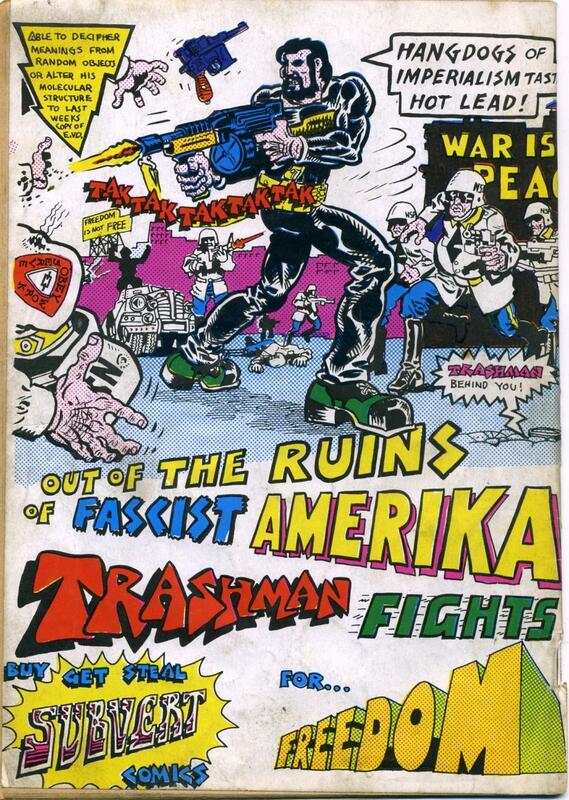 Out of the Ruins of Fascist Amerika, Trashman Fights for Freedom! It’s our birthday today, so we offer you an origin story. But not just any origin story: Trashman! Bearded hero of the people’s revolution: Trashman! Sometimes called “the Superman of the New left:” Trashman! 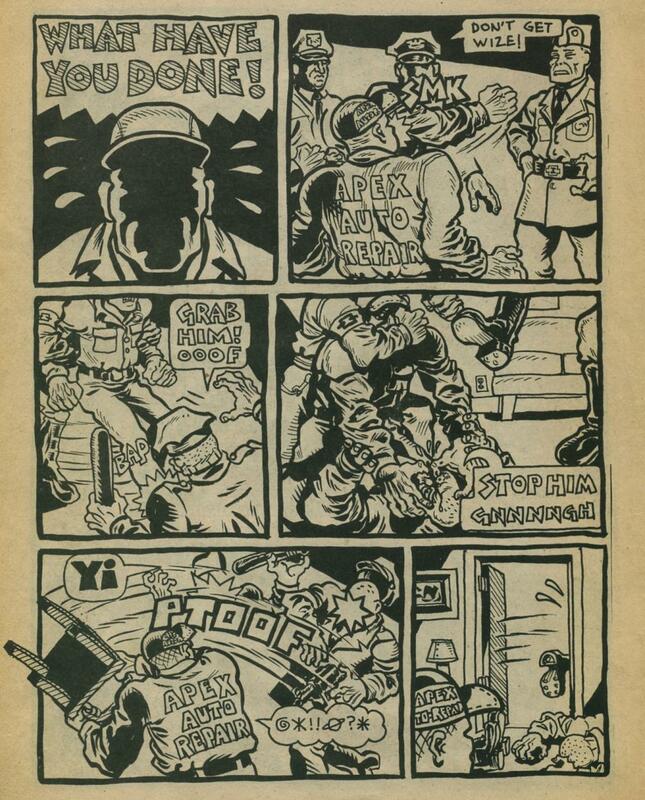 Subvert #1 by Spain Rodriguez contains the origin of his guerilla resistance character, Trashman. 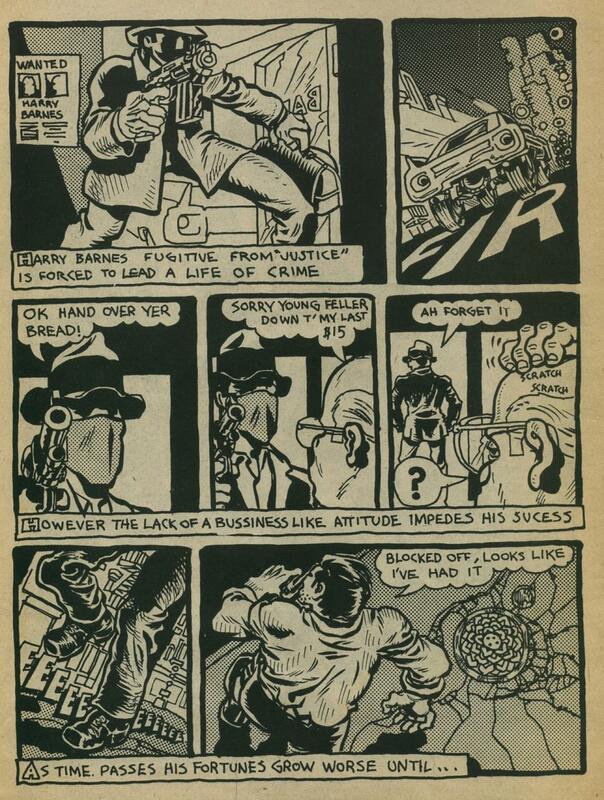 This off-beat 1970 story published by underground comix legends Rip Off Press describes the transformation of average guy Harry Barnes into an Agent of the Sixth International. 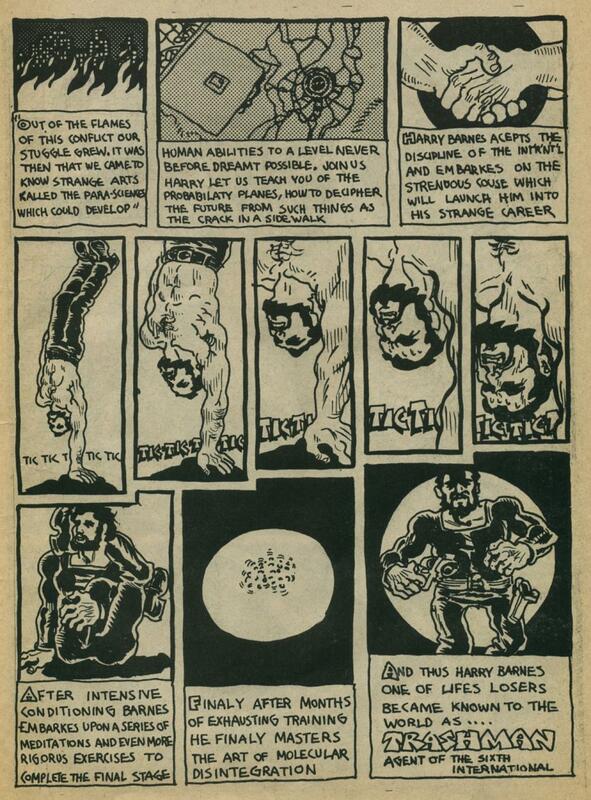 He even masters molecular disintegration – whoa! 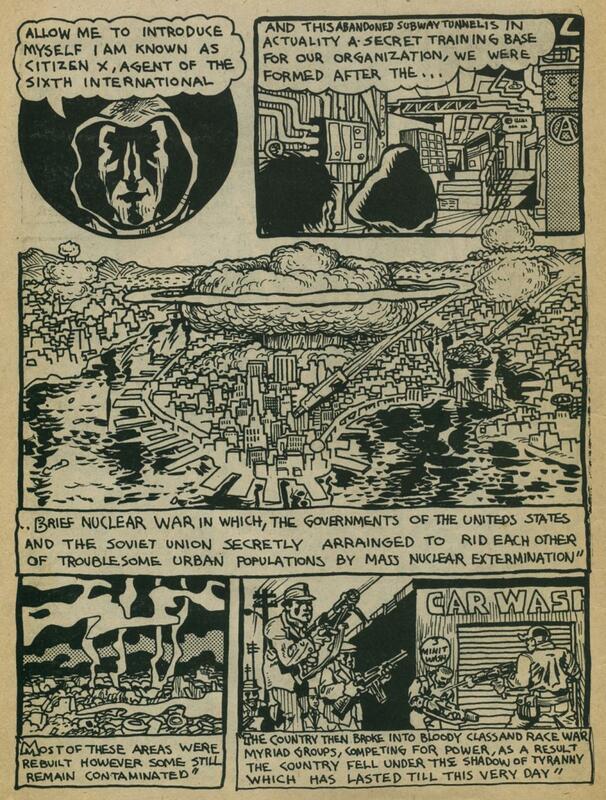 Murder, nuclear apocalypse, covert agencies, class struggle, satire – and that’s just the origin! 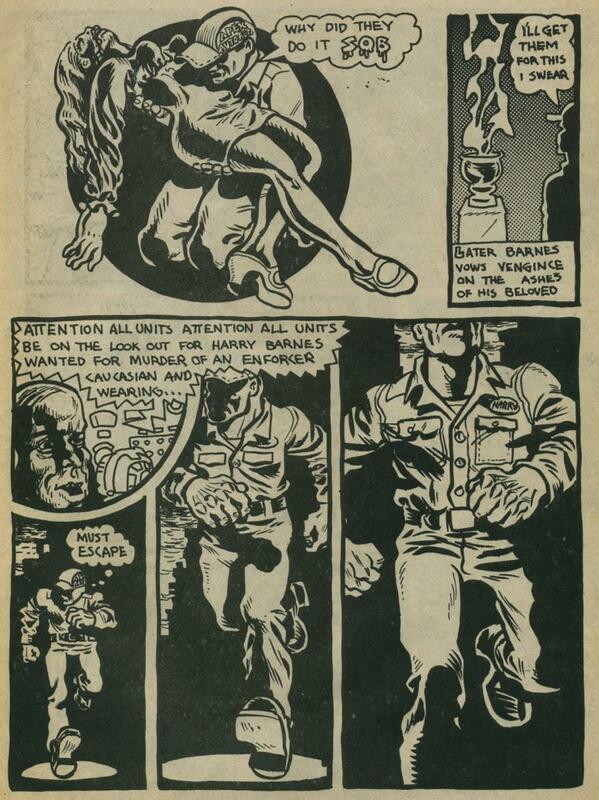 The longer story which completes Subvert #1 involves some sexually hungry female revolutionaries. 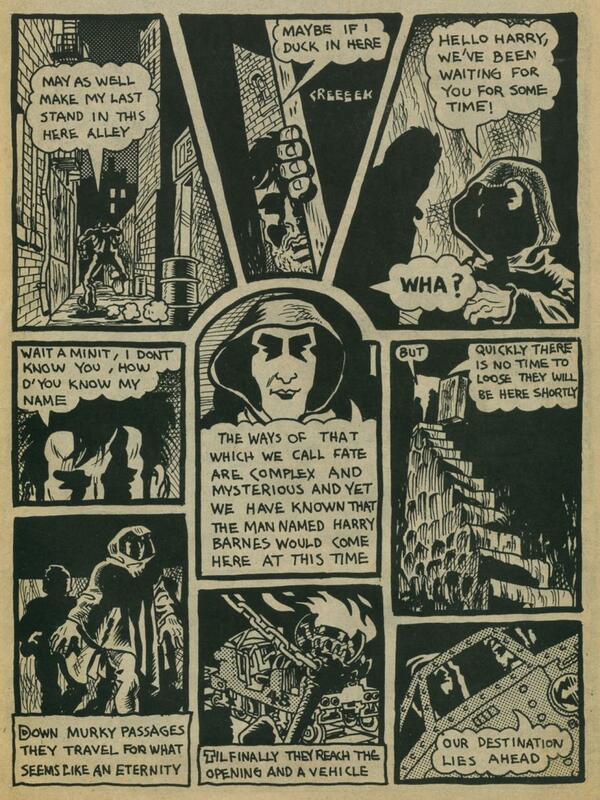 It’s a hoot, but forgive us for not sharing a few pages of THAT with you here. 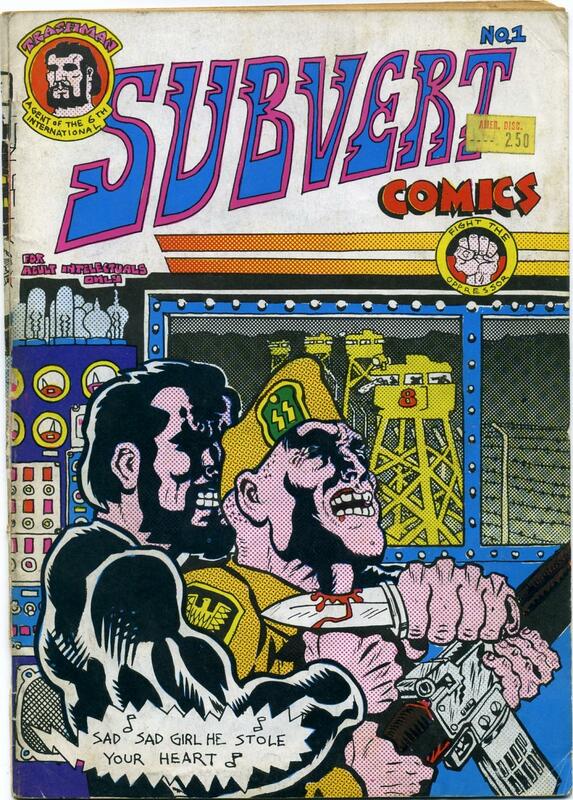 You can still find well-read copies of Subvert #1 for a few dollars if you are willing to dig. We found a VG- copy at the local comic store for 3 or 4 bucks, or you can go right to Subvert #1 on Amazon. 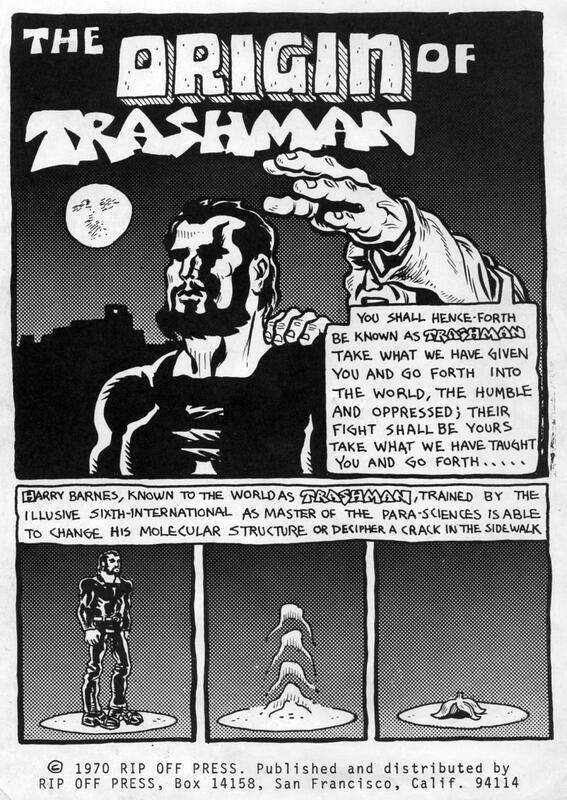 Fantagraphics published a wonderful collection of all the Trashman stories from 1968 to 1985: Trashman Lives! It fetches a hefty price on Amazon these days, but we found a copy at a used bookstore for less than $20.